At EMA Dental, our team strives to stay on the cutting-edge of dentistry while still maintaining that personal, home-grown touch that our patients love. By utilizing modern tools, techniques, and comforts whenever possible, our goal is to elevate your care experience to exceptional levels. If you have any questions for us or would like to schedule a first appointment, contact one of our two office locations today in Northampton or East Longmeadow, MA. You may find yourself wondering what exactly the dentist is seeing as they peer into your mouth and talk with the assistant. Instead of being left in the dark, we enjoy helping patients feel fully informed about their current oral health situation by using intraoral cameras. The process is simple – we’ll insert a comfortable, camera-tipped wand into the mouth so that it can start capturing high-resolution images. These images will be transferred to our computer system and then to a monitor in the operatory for easy viewing. Your smile will be on the big screen! Our dentists and team members can then use this visual aid for educational purposes, explaining signs of damage and possible treatment options more clearly. X-rays are a crucial part of the diagnostic dental process, revealing areas of your oral anatomy that are hidden from the naked eye. At EMA Dental, we use digital radiography as a much-improved alternative to traditional film. There is no darkroom development or hours of waiting to contend with any longer – instead, images are captured and can be viewed in seconds. Our team can even magnify, rotate, and color-code the X-rays in order to benefit our patients’ understanding. Any potentially harmful radiation exposure is also greatly reduced by up to 80%, which is much safer for you and your family. When planning complex treatments like surgical implant placement, our prosthodontists want to have a comprehensive understanding of your oral health to ensure maximum success. That’s why we use a state-of-the-art CT/Cone Beam scanner to capture three-dimensional, panoramic images of patients’ smiles, jaws, skulls, and other related facial structures. 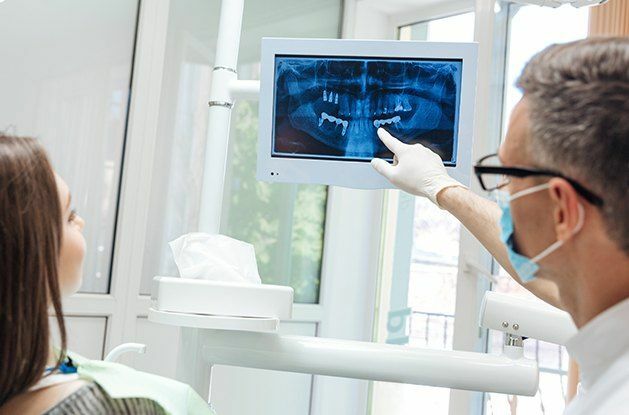 These X-rays can reveal crucial information about the jawbone, the temporomandibular joints, and other important areas that will make the treatment planning process more precise. 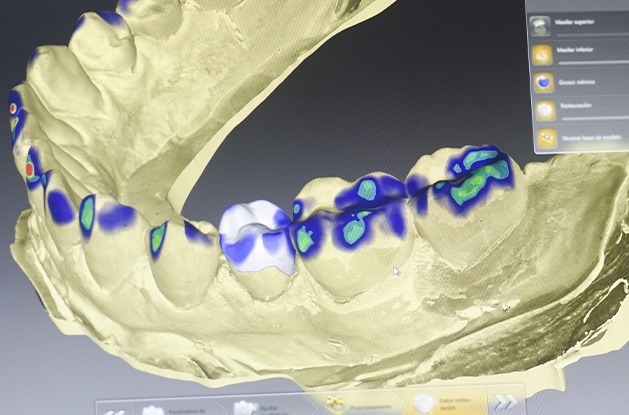 Dental impressions are necessary for restorative work, but the traditional method for capturing them (using physical molds) has several uncomfortable pitfalls. At EMA Dental, we now use contact-free digital impressions in order to make this process much more precise and pleasant. Better yet, the results are much more accurate, which means the chances of needing time-consuming retakes are kept to an absolute minimum. 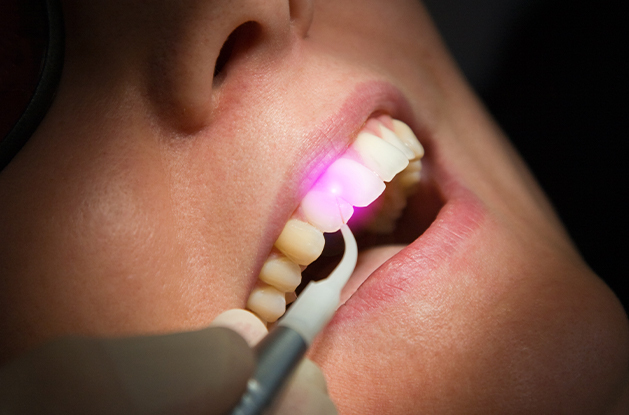 Lasers are quickly becoming very popular tools of choice in dentistry, and for good reason. Our state-of-the-art soft tissue laser is the perfect technology for treating the gum line with exceptional precision and comfort. The focused wavelength will help preserve healthy soft tissue while removing diseased portions, and its sterilizing nature can even encourage the regeneration of new, viable gum structure. Also, common post-operative symptoms like bleeding and swelling are greatly minimized, and patients should recover from treatment on a much faster timeframe.